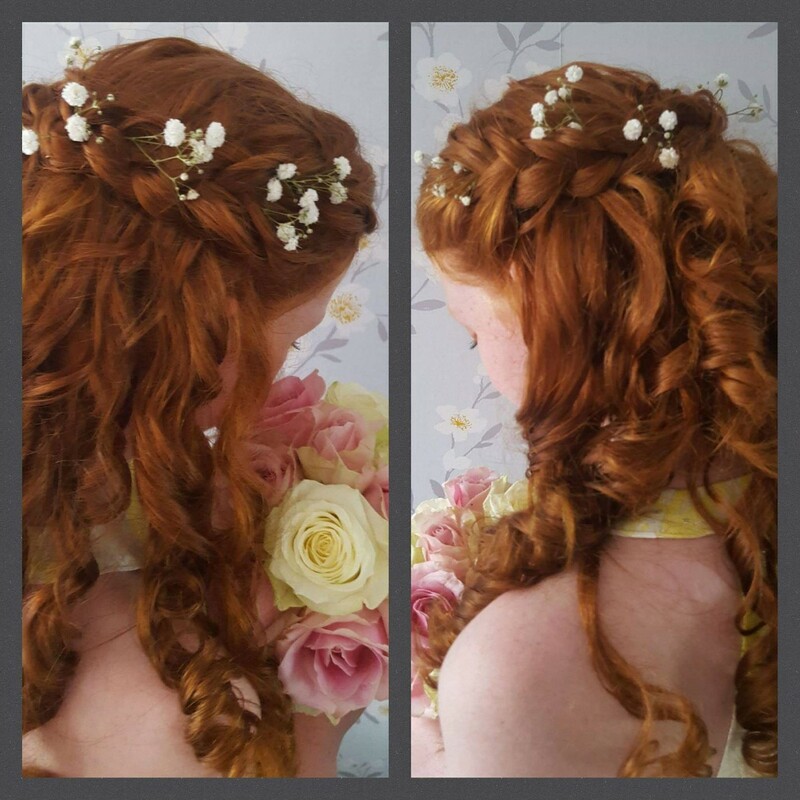 Wedding hair creations in the comfort of your own home or venue! I consider my service a very personal service as every bride is unique to me, with a different personality and new ideas every time! When a bride make an appointment for a trial I like to give (2hrs) trying chosen looks and ideas - this is essential so the bride gets full benefit of the appointment . I welcome bridesmaids , Mum of Bride to the trial,as this gives the whole party a chance to met me ask questions and give them piece of mind too. Hairdressing has been with me since I was 16, I trained with Peter Mark - worked with Micheal Leong & also creative director Gary Kavanagh where I learnt from the best ! I ran my own Hair & Beauty salon, Dublin 4 for many years- then decided to spend more time with my family & freelance with weddings ! I have over 25 yrs of experience in the business! Wedding work is a pleasure to me , I feel its an important job keeping everyone calm and on time. .
Claire specialises in weddings in Wicklow, Dublin and throughout the country. She works with a number of make up and beauty professionals and can recommend on request. 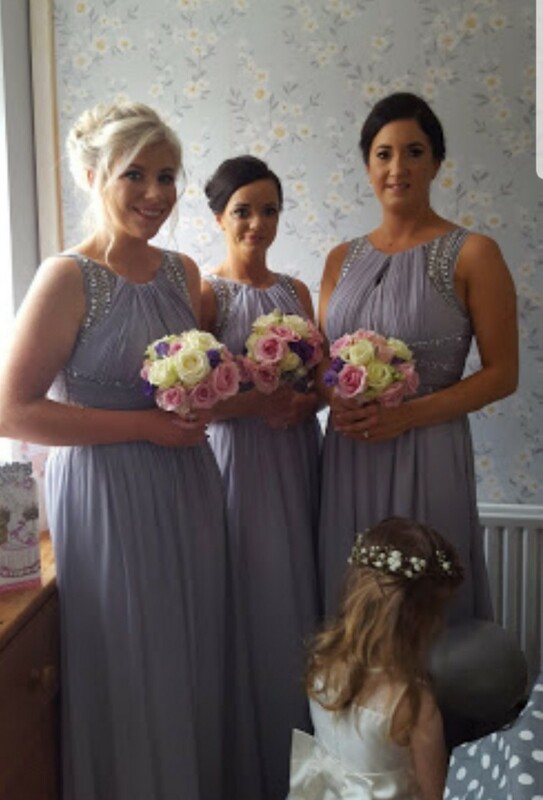 wedding hair creations SPECIALIST WEDDING HAIRSTYLIST from CO WICKLOW AND SURROUNDING AREAS servicing weddings throughout the local area including Dublin,Limerick,Waterford and International clients also. 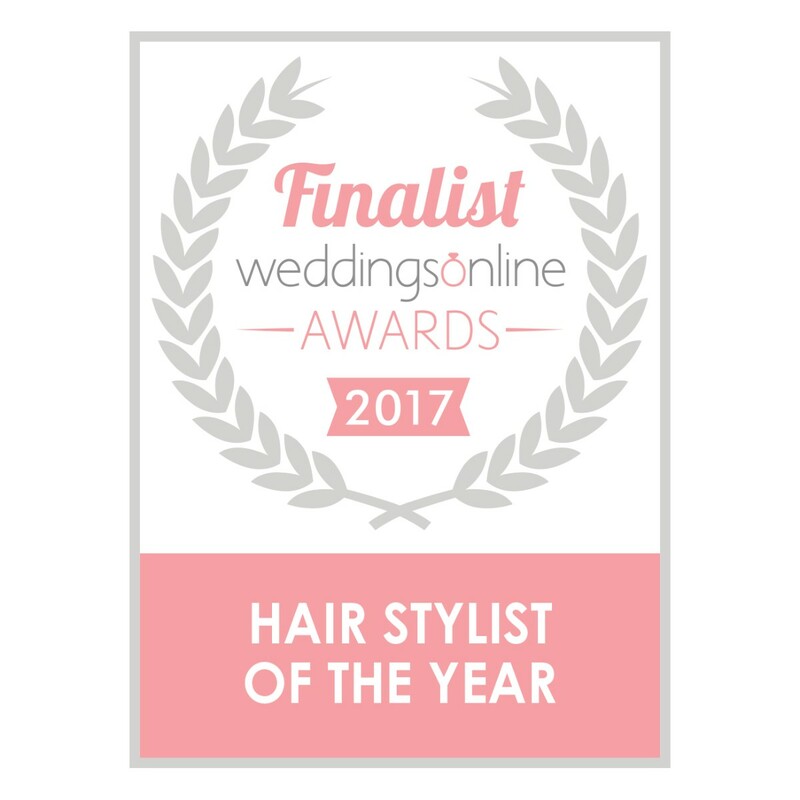 wedding hair creations reputable TALENTED AND PROFESSIONAL that has been part of the HAIRSTYLING industry 1994 specialising in BRIDAL STYLING ,PHOTO SHOOTS ,FASHION SHOWS ETC.. I couldn't recommend Claire enough. She is so talented. She looked after myself and my bridal party and family and a friend for our wedding on the 17th. All our hair look out of this world and stayed in place all night. She even ran to the shop the morning of the wedding as I had forgotten the bun which took so much pressure off. She is so friendly and makes you feel at ease and such an enjoyable experience. 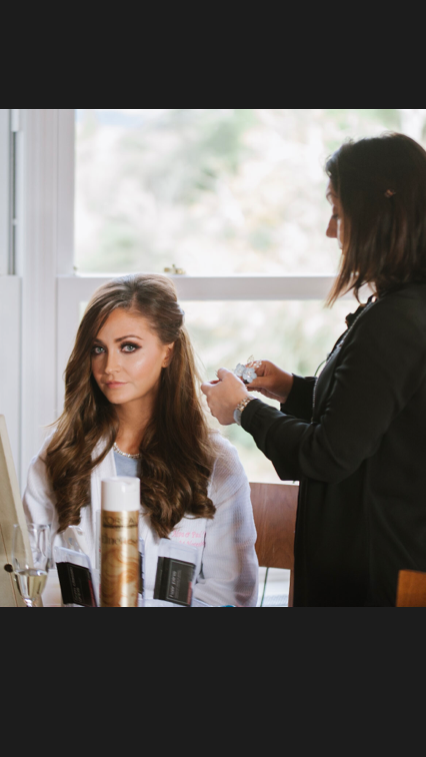 When doing the trials she listened to want you wanted and gave such brilliant ideas and advise on how to care for your hair coming up to the big day. She had so much patience going through different options and is a perfectionist ensuring everyone looked wonderful. I couldn't recommend Claire and hair creations more. She went above and beyond taking videos of the day and picture and staying with me until I walked into the ceremony and I will be forever grateful to her for looking after me when It all hit me before the ceremony. Thank you so much Claire. Claire was just absolutely amazing, she did a fantastic job on all our hair styles. She really knows her stuff and is very calm and keeps things rolling on the morning. She not only did an amazing job on my hair but she really looked after me on the morning of the wedding and helped me with my dress and anything that cropped up on the morning, as it always does! She stayed with me and got me into the wedding car to make sure everything was ok before I got to the church. Claire is a lovely person and you can tell that she really loves what she does and that also shows in her fab work. I wouldn’t hesitate to recommend this amazing lady to have with you on your special day. Thank you so much for all your help with EVERYTHING!!! on the wedding morning Claire ???? Julieanne Morris ???? Jenni wow your wedding dress was fab!! really enjoyed working with you all great fun had that morning!! thank you for choosing wedding hair creations. Jennifer I truly had a great morning working with you and your wedding party ,Thanks for having me and Congratulations !! Claire is absolutely AMAZING! Not only did she do my hair perfectly as the bride but also did an amazing job on my sister, mother and especially my sister with frizzy hair. We have never looked or felt so good. Claire has an amazingly calming effect and her years of experience really show. She went above and beyond-including fixing corsages and taking pictures for us. Such a lovely genuine person. Highly recommend! Amazing stylist! Claire is such a perfectionist, she is so professional and good fun too! Kept everyone at ease with her chit chat all morning and stayed until I had left the house! I could not fault her in anyway in the run up the wedding day. Always so helpful! Thank you Collette , I so enjoyed your morning fabulous house (windmill included) stunning bridesmaids and your mums Phllip Tracey hat wow! , just lovely to be involved ,. Great fun, Great girls . Congratulations . Claire did a fabulous job on mine and the bridesmaids hair. She made us feel relaxed and nothing was too much trouble. I was so delighted with my hair on the day - thank you ! Thank you Anna - Lovely to meet you!!! 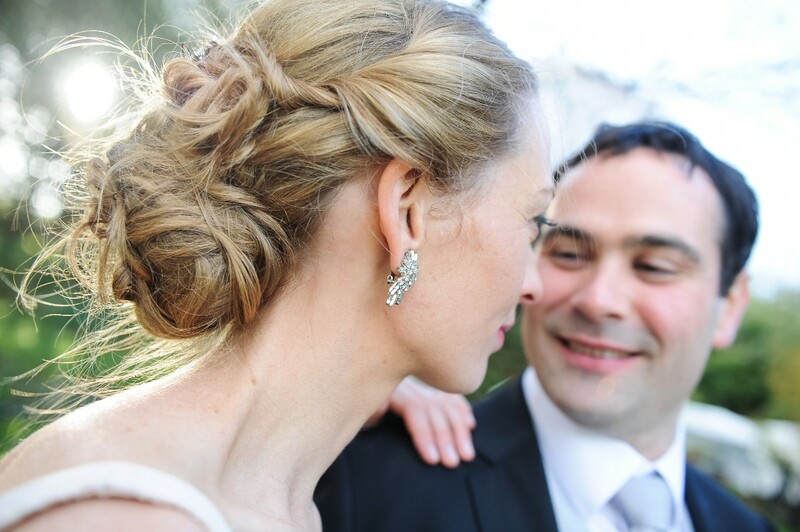 I could not recommend Claire of Wedding hair Creations highly enough. 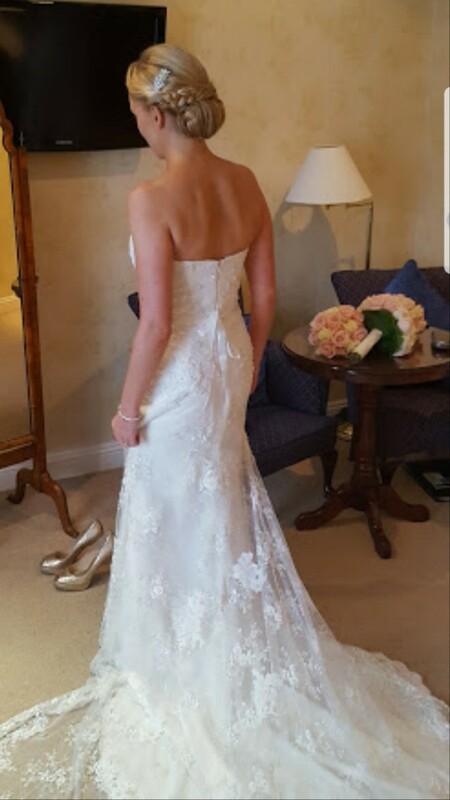 Claire will really listen to your requirements and she is great for making suggestions to suit the overall look for your wedding day. She is one of the most creative and talented people I know. What she can do with hair is just amazing and her up styles leave you feeling totally fab! Claire is always willing to go that extra mil for her clients. In fact she actually offered and drove us to our wedding as the arranged car did not show up for the appointed time!! Karen what a morning ,loved doing your hair for you! I would drive you to the registrar again my dear! I would never leave Bride and Groom be late now could I!!!!! Claire was fantastic throughout the wedding process, from the time I booked her, providing me with advice and ideas. I decided for my hen I would get my hair trial done and also my bridesmaids at the same time. Claire came out to my house and we had such a good day full of laughs and great hairstyles! 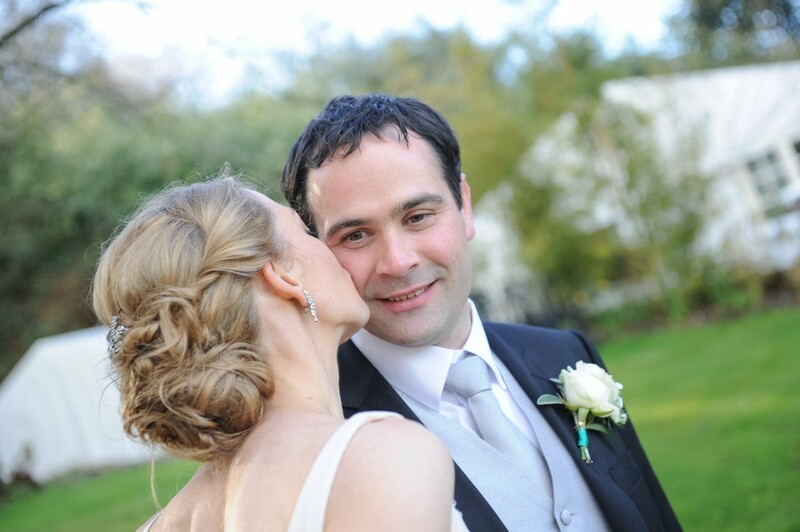 Claire provided me with a one to one service, even colouring my hair in the months coming up to the wedding. On the day she was as professional as ever and stepped in to look after things that were not even her responsibility, to reduce any stress on me! I loved my hair and couldn't have asked for more! I would highly recommend her to any upcoming brides. Highly recommend Claire for your wedding day! Can't thank Claire enough for doing all our hair so fabulous for my wedding!we got such compliments all day about our hair and still are! !not only was Claire so professional and did our hair with ease, she is so friendly and goes way above and beyond!! !cannot recommend Claire enough!!!! !defo book her if you want to have amazing hair for your wedding and be in such safe hands! Sinead - The pleasure was all mine your are an amazing girl! this journey to your big day was indeed a tough one! I was so glad to be there for you on your Big Day. 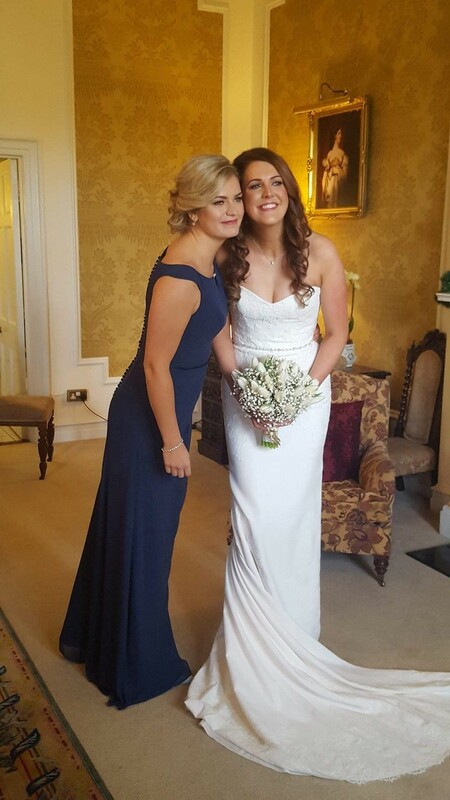 Just sad now there will be on more weddings in your family ,as i love your family and the craic!!! Claire did my hair,i met her at a wedding fair not thinking that it was possible to have an up style as my hair wasn't long at all she told me that it wasn't impossible to have the style I wanted that she could do it.she came to my house to do a trial,she listened to what I wanted and on the first go got the hairstyle I wanted,.my hair wasn't long and I didn't want extensions but wow when she put my hair up I was amazed,she was a calming person to have around on the morning of my wedding .she helped me to pick some pins to put in my hair,i couldn't recommend her enough,so professional she so knows her job.if your getting married ring her you won't be sorry. 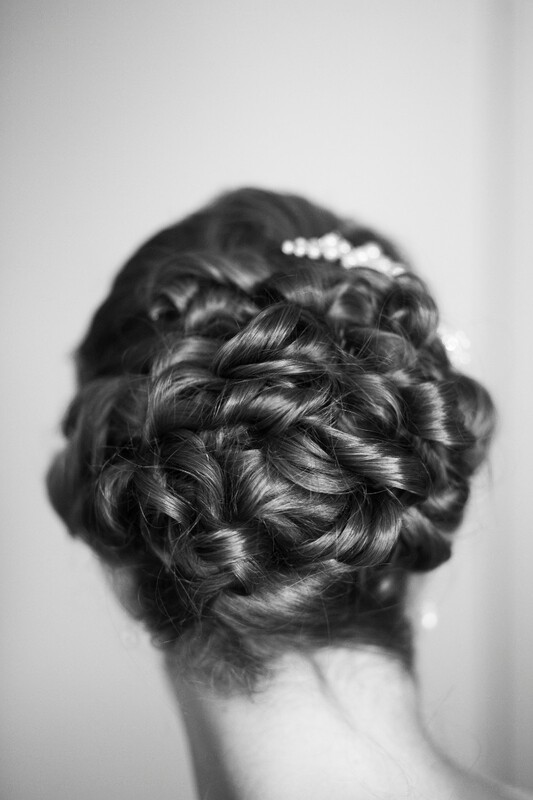 Claire did a fabulous job and I was thrilled with my hair and my bridesmaid's hairstyles. So many people at the wedding commented on how lovely my hair was. Claire was a pleasure to have around on the day and a real calming influence! Nothing was too much trouble for her. I've already recommended her to many of my friends. Thanks Claire! Claire was fantastic from start to finish, from my first enquiry with her she was extremely helpful and flexible. When it came to the trial she listened to what the bridesmaids and I wanted but also gave us her opinion and brilliant advice. On the day itself she couldn't have been more professional, helpful, calming, relaxing, punctual everything you need on the morning of your wedding. Between the madness of the dogs, kids, family coming and going Claire was an absolute star. I live in the UK but we got married in Ireland. I was so worried about my hair as I didn't have time for a trial before the wedding day but I shouldn't have worried at all! Claire was fantastic! She worked out exactly what I was looking for just by looking at a couple of pictures and she helped my Bridesmaid choose how to have her hair. She even thought of things to make the morning go so much smoother. While we were waiting for my curls to set she organised ice for our champagne, made teas and coffees, kept my nephew entertained while his Mum did my make up and helped me do up my dress while my Bridesmaid got ready. She was just amazing from start to finish. I can't recommend her highly enough. Thanks Claire for helping the day feel that extra bit more special. Claire was absolutely amazing. She went over and beyond for our wedding. We had a destination wedding so being in Ohio was difficult at times when planning our wedding Claire helped in every way possible in making our wedding day magical. She goes over the top for her clients. I consider her a friend after everything she did for us. She was such a huge part of our special day. I couldn't of asked for a better person to have done my hair, found my make-up artists, help us find an amazing women who made our wedding cake, help us deal with getting a boot on our car, help us try and find jeweler, sing at our wedding, make me feel absolutely beautiful. Claire didnt have to do any of that but she did. We are so incredibly grateful for her and her talent. I was recommended to.Claire -Wedding HairCreations from a friend at work! My Friend said " you must have this Hairstylist shes great!" So I called her straight away as I.was worried about my hair for my wedding and had a bad experience already Claire put me at ease ,she so calming. She listened knew exactly what i wanted.My Bridesmaids loved her and My Mum looked fab! This Hair stylist knows her stuff!! I think shes amazing and i told all my friends about her. Claire was amazing on the day of the wedding, from first thing in the morning, looking after every one of us (bride, bridesmaids & my mum) right up to going in the door of the church. We were all 100% delighted with our hair and it stayed in place all day. Can't recommend her highly enough for anyone's big day. Claire was absolutely fantastic on the day. I had an absolute nightmare trying to find someone who could do my hair the way I wanted it (I've poker straight hair and wanted it curled ...to last the day!!) She was incredibly relaxing for me and so professional. She was excellent at time keeping and setting a plan for the day so that nothing was rushed. Everyone was so delighted with their hair and my hair lasted the whole day, and was even curly the next day which is amazing. I would recommend her 100% without hesitation - she's brilliant!!! Niamh I'm so glad you found me ,I hate to hear brides having hair trouble. There are many unprofessional hairstylists with no insurance or bridal experience around. Thanks for having me ,delighted you had a fab day and your were truly Stunning! 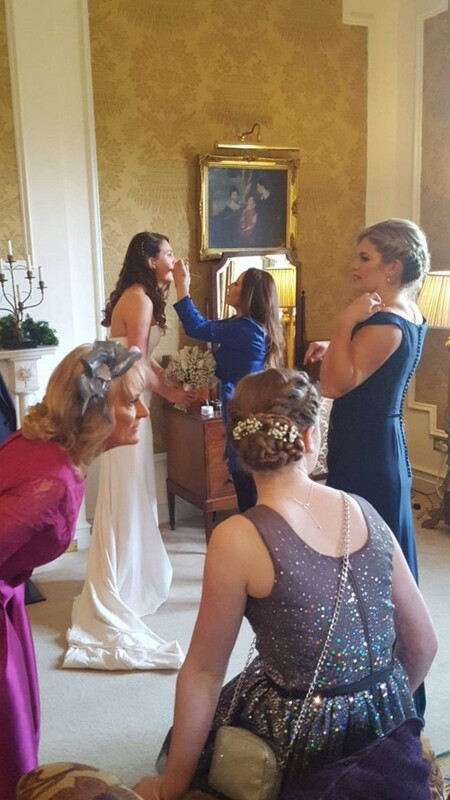 I booked Claire (wedding Hair Creations) for my sons wedding in April, she done a great job, it was a very relaxing experience as she also had the make-up artist with her so everyone enjoyed the experience. Everyone's hair and make-up was done from Grandmother, Mother of the Groom, Sisters And friend. We were all very happy and would definitely recommend her to others. Thanks Rose delighted all make up tied in well with hairstyles !! Mum of Groom's need too be made looking fab too on the morning not just bridal party!! Bernadette the pleasure was all mine what a lovely family to meet on such a great day! I got Claire to do my hair for my wedding back February she was absolutely amazing. From the moment I got my trial done I knew I picked the best stylist. I would highly recommend Claire 100%. 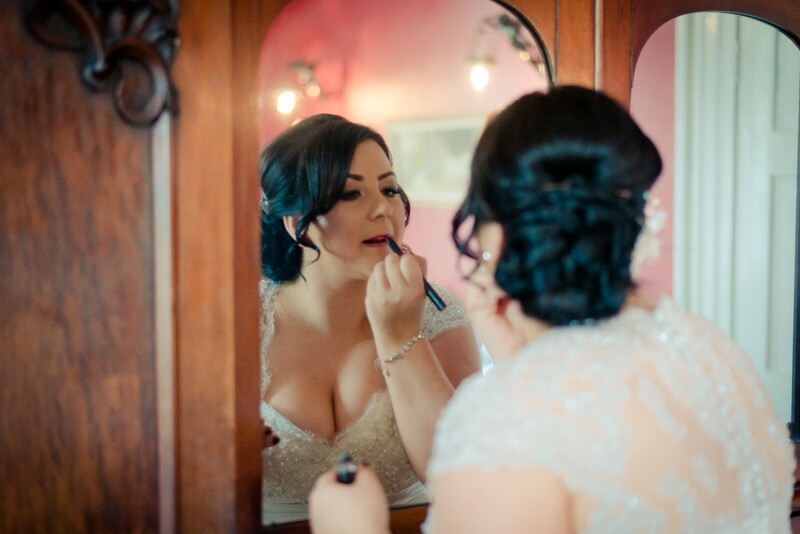 Clare from Wedding hair Creations was just brilliant on my wedding day. She was very relaxed and personable making the morning of my wedding very relaxed. With every e-mail I sent her she reponded very quickly. I could not fault her at all in her approach and would recommend her to anyone. Claire Finnegan was absolutely amazing. Couldn't of been more helpful not only with the hair but little hints and tips for all the guys including how to attach the flowers. She made everyone feel so settled including the consultation before hand. All styles lasted the whole day and looked amazing. Will definitely be in contact for future family weddings. 5 STARS. I couldn't ask for a better person then Claire. She was fantastic from the minute I called her nothing was to much trouble you name it she had a solution even details for a dress maker. 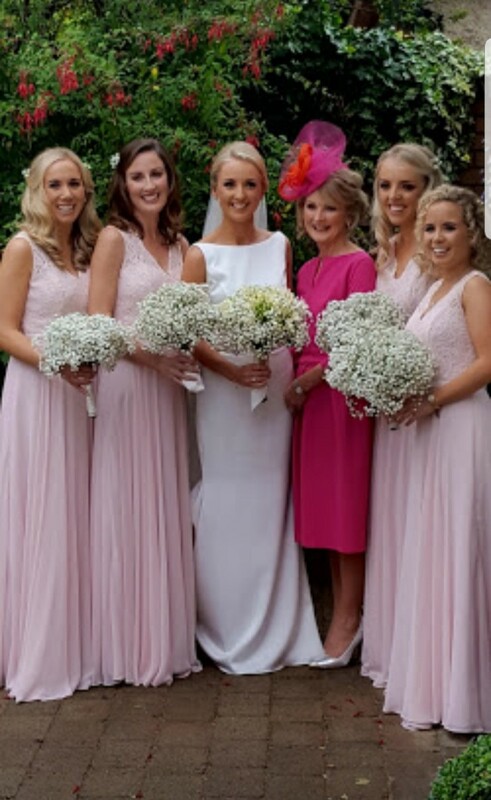 Claire was so helpful she doesn't force any ideas on you from my trial to the wedding day & if like my bridesmaids and Mum it was your first time to have your hair done she has great suggestions and she really listens to what you want, I wanted my hair in a half up style & natural. On the day Claire fitted into the morning like she was one of the girls, the calming influence of the group. Making each of us feel a million euro. 5 stars.